Do you have alphabet photo cards in your classroom or home? 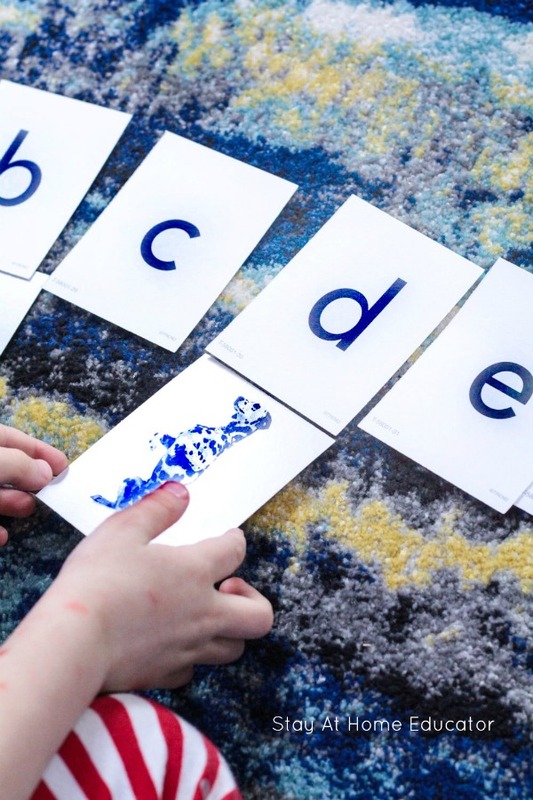 I love using alphabet photo cards to teach simple alphabet activities to preschoolers. 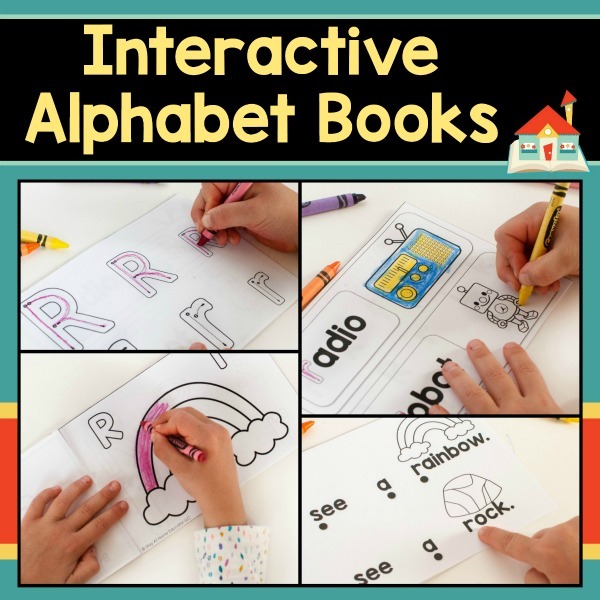 If you have preschoolers interested and motivated to read, you can start doing these alphabet activities with preschoolers as young as two and three years old. 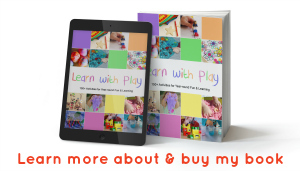 But always follow along with each child’s specific interest before starting any alphabet learning. You want children to love reading, not hate it! Sometimes, as parents and teachers, we stress about our preschoolers learning their letters. After all, kindergarten is the new first grade, so we’d better start extra early to get our kids ready for school, right? *Please note my sarcasm. 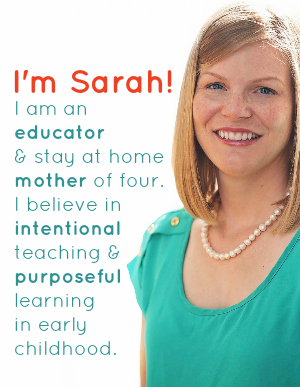 * I mean, I don’t disagree that unfortunately standards are being pushed down to younger grades, but preschoolers do often have a natural interest in alphabet activities. 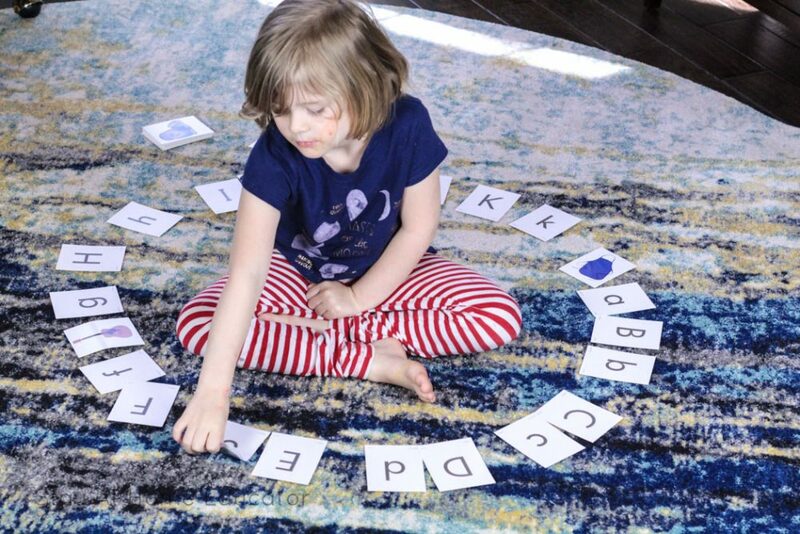 There are a million alphabet activities from which to choose, some more playful, some more rote, but one of our favorite alphabet activities actually uses flashcards! Yes, you read that correctly. Flashcards. 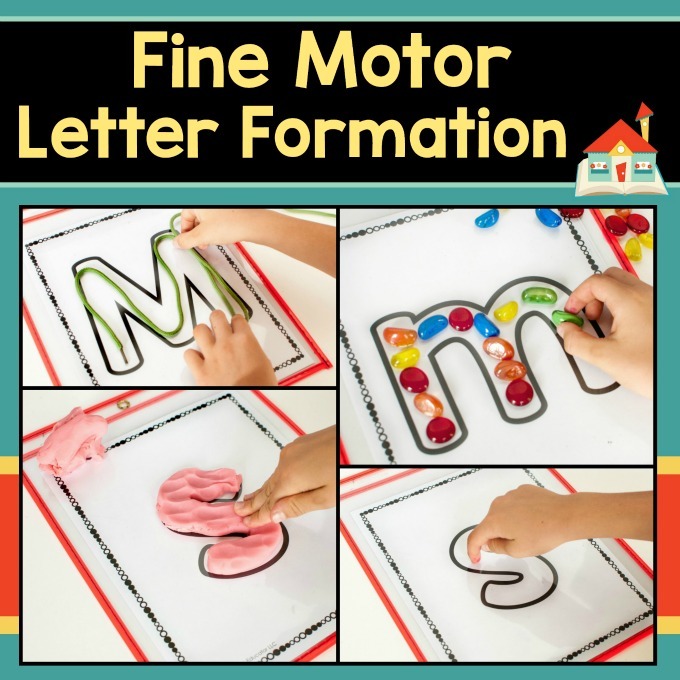 But alphabet flashcards are an excellent teaching tool when paired with age-appropriate activities, such as some of the letter activities in this post. 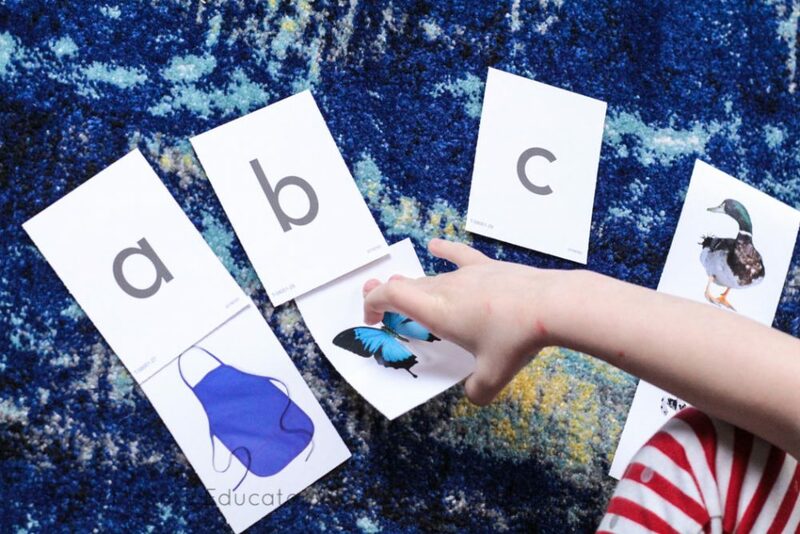 Try these simple alphabet activities with your preschoolers to boost literacy skills! 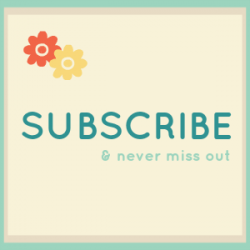 Don’t worry, these letter activities are not about teaching rote memorization. They are fun and involve tons of movement! 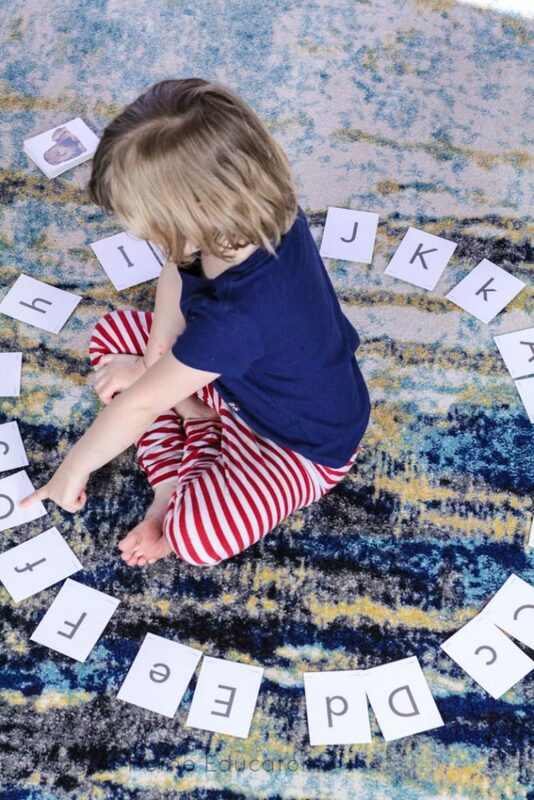 All you need for this activity is a set of alphabet photo cards and a comfy rug. My preschoolers aren’t quite ready for full alphabet learning. With young preschoolers, I focus mostly on letter identification and common sounds. 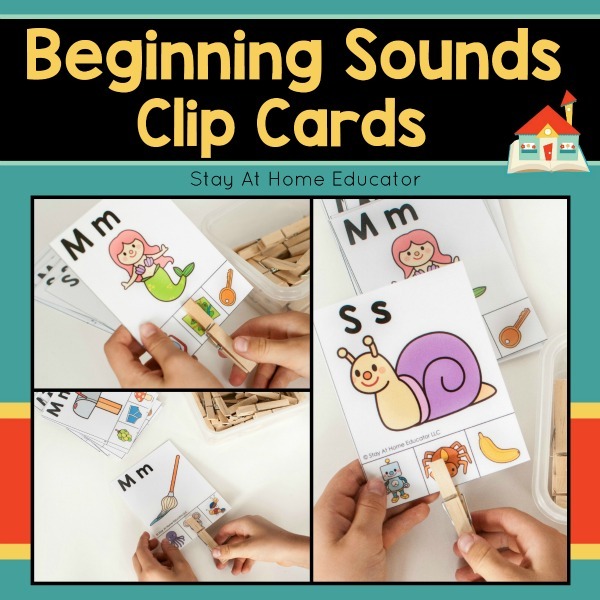 I don’t much stress associating beginning sounds in words with the letters of the alphabet because I know 3 and 4 year olds still have plenty of time to learn those bits of phonemic awareness. While the kids are exposed to some phonemic awareness, I let their interests and skill level guide my instruction. This activity is best done during guided learning time or as a self-guided literacy activity for older preschoolers and kindergarten kids. For my older preschoolers, I will often just leave the alphabet cards in our literacy center. 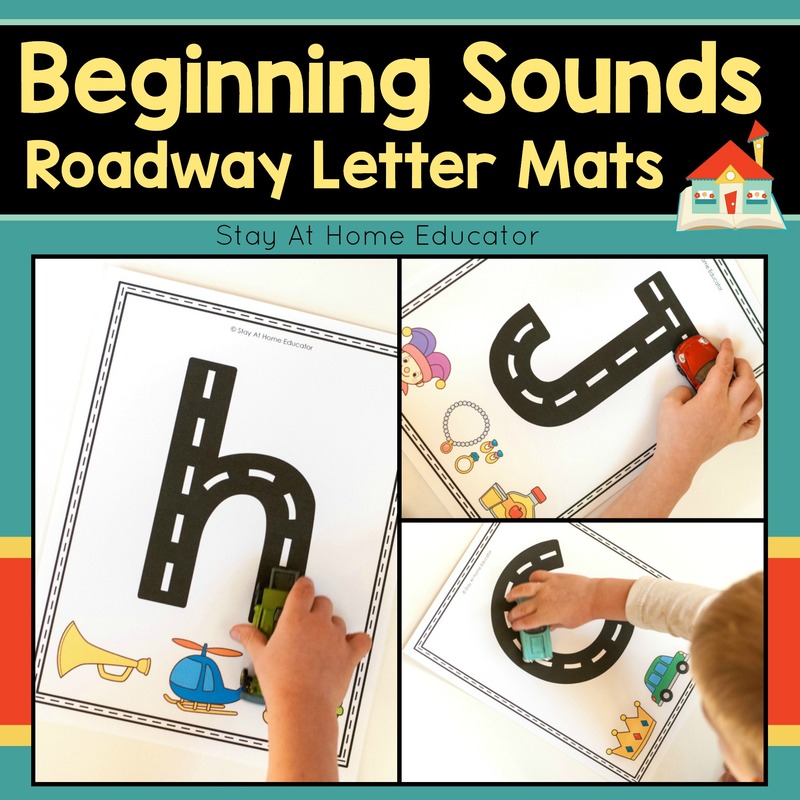 The kids will play some of these alphabet games, and often time will make up their own, too! One of our favorite alphabet activities is Initial Sound Picture Seek. I think my preshcoolers especially like it because they get to spin in circles to play! I place the upper-case letters of an extra set of alphabet cards on the floor in the circle. Then, I have the preschooler sit in the center, and then I hand them the lower case letters to match with those on the floor. Notice not all the letters of the alphabet are in the circle. I use this game strictly as a review of previously introduced letters, so it is practice for letters my preschoolers are already familiar with. 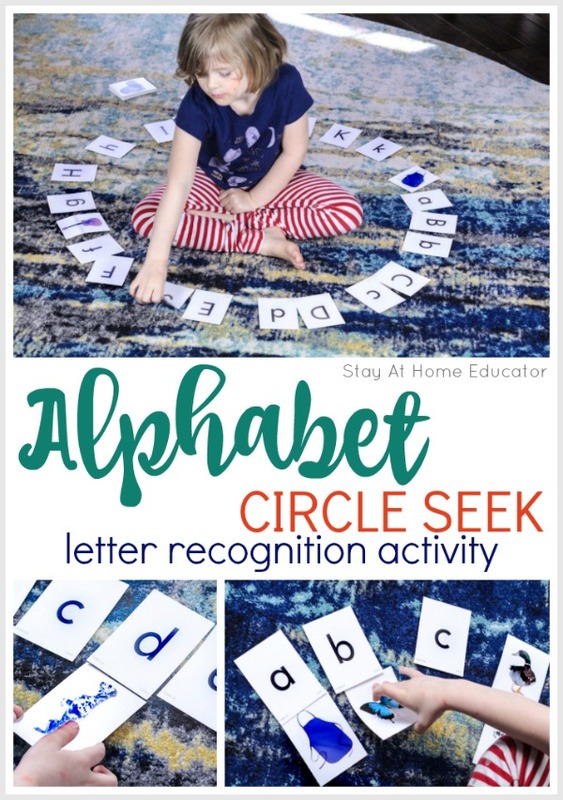 As preschoolers are introduced to more letters, the circle can expand to include the entire alphabet. Flip over the alphabet cards and match beginning sounds in words with the letters. This was much, much more difficult for the kids, as I expected. Our dialogue changed in this version. “That’s right! /d/, /d/, /d/ like dragon, or / d/, /d/, /d/ duck. Can you find a picture that begins with the /d/ sound? The preschooler looks and is sometimes successful, but often needs guidance. That’s when I use an example from the set of flashcards. There are several reasons I enjoy this game. One reason is that it is quick and easy to set up. Maybe a matter of two minutes if you still need to sort through the alphabet cards to pull out the letters you want to use. Plus, preschoolers love that they get to spin on the floor as we play the game. But more importantly, I love this game because it is an age-appropriate way to boost pre-reading skills and therefore allows preschoolers to feel successful. 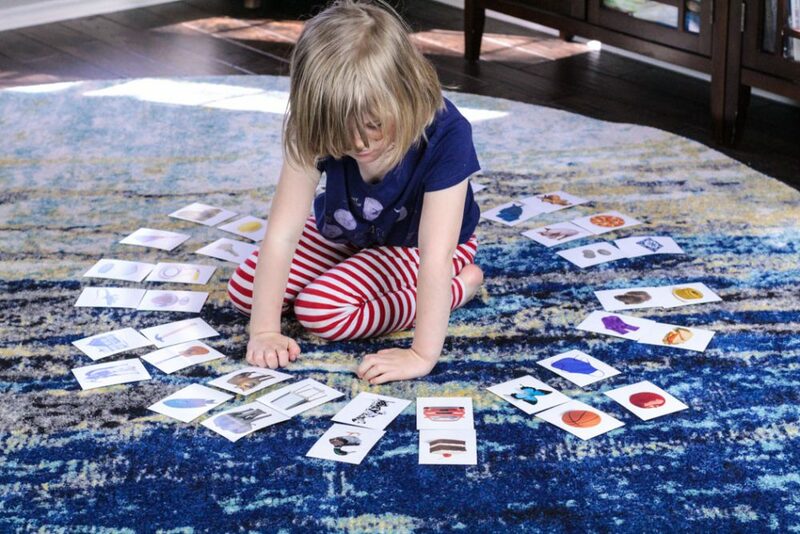 You can make up a ton of alphabet activities the only use a set of flashcards. Here of more of our favorites! Find the letter. Show the kids the picture cards. The first child to pick the right starting letter from the circle wins. Letter and sound matching. Mix up the photo cards. Place the alphabet cards in a circle. Let the kids match the right photo to the right alphabet cards. Uppercase and lowercase letter match. If your photo cards have an uppercase and lowercase set, use the circle to match the big letters with the little letters. Find the photo. Hold up a letter card. Have the kids race to see who can find the picture that matches the starting sound first. You can also try finding objects in the room that start with that letter. Around the room picture seek. Place the picture cards around the room and have the kids find the matching picture when you hold up a letter card. Alphabet race. Tape a set of letters to the wall at the kids’ eye level. Maybe 10 at most. Have the kids stand at an opposite wall and hold up a corresponding picture card. Invite the kids to find the matching letter from across the room, then when you say go their race to it! Then you might enjoy some of these! What a fun idea! Dropping by from Read. Explore. Learn.